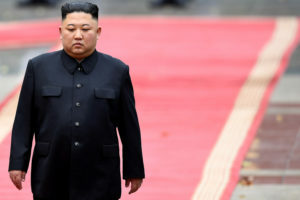 PALM BEACH, Fla. — President Donald Trump tweeted Friday that he has reversed his administration’s decision to slap new sanctions on North Korea, with his press secretary explaining that he “likes” leader Kim Jong Un and doesn’t think they’re necessary. It was the latest example of Trump’s unusual governance-by-tweet. Trump’s proclamations have often caught agency officials by surprise, leaving them scrambling to figure out what he’s directing and to implement his directives.